When you are on tour it is generally a good idea to bring an extra spoke or two, just incase you have the bad luck of having a spoke brake on you. This is especially true when you are venturing into a country or even area where bike shops are few and far between. If you are lucky enough to have a bicycle which has a mount for extra spokes like the Surly Long Haul Trucker then you don’t need to worry about ending up with spokes which are bent out of shape when you need them. For the rest of us out there, stashing some spokes in your pannier can be a bit of a pain due to their size and shape. 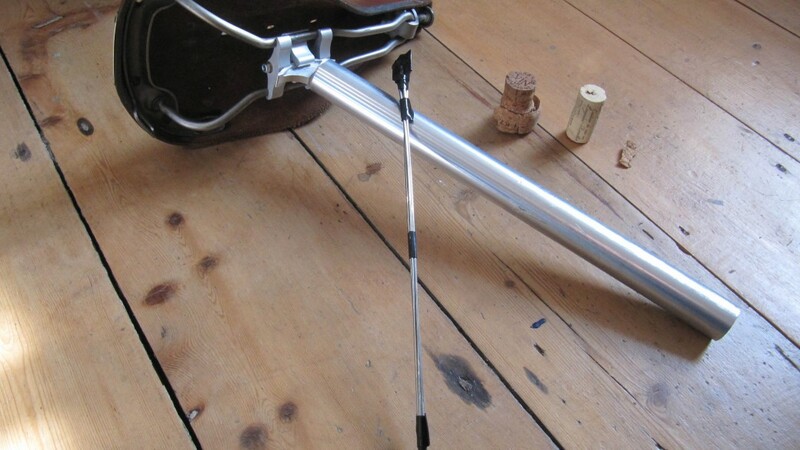 Instead, stick spare spokes in your seat-post with a few wine corks and tape. 5. 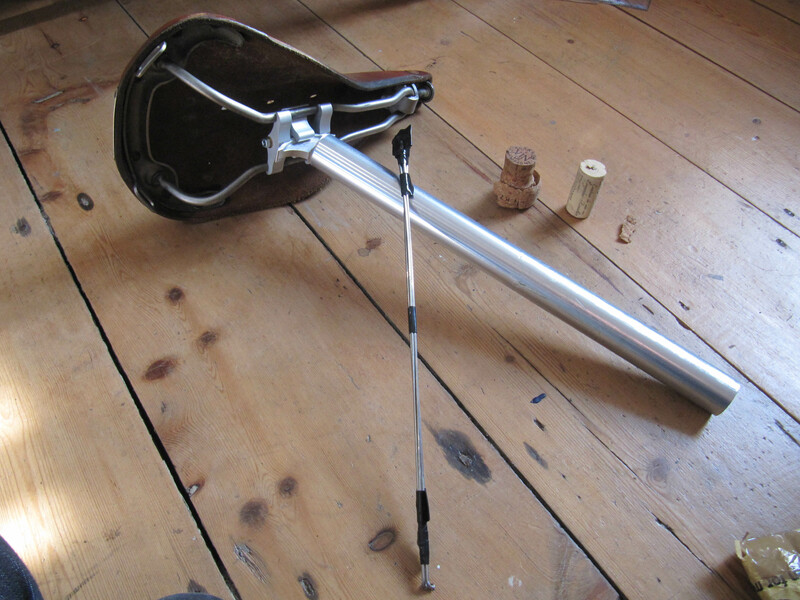 Slip the spokes with a cork into seatpost and fit larger cork snuggly into seatpost end. I had originally fitted some spokes in my seatpost for our tour, however, having the good fortune of having The Interlock to test out, I was not able to keep my spokes safe from my panniers. Let’s hope that they don’t get bent out of shape along the way.